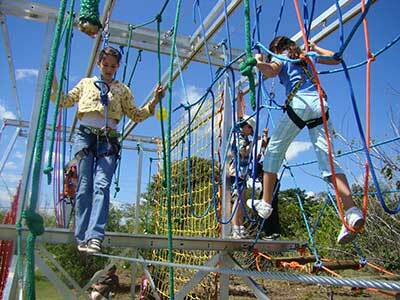 Adventure Courses, Trampoline Parks, Ziplines & Much More! Outdoor Escape is now a distributor for Eurobungy products, which can bring even more fun to your indoor or outdoor recreational facility! Eurobungy has over 20 years experience in creating a customized product for each client. The 4-In-1 super trampoline system enables the participant to jump over two stories high accomplishing gravity-defying maneuvers. 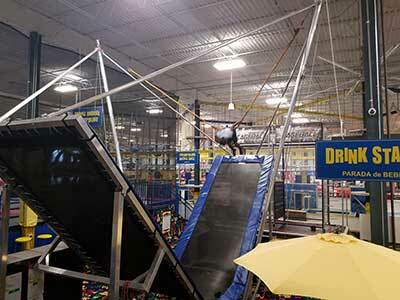 Multiple bungee cords are attached to a harness (in which the jumper is safely secured) which boosts the traditional trampoline experience, giving a gravity-defying ride that has all the adrenaline of bungee jumping, but none of the risk. If you are daring, you can do front flips and backflips. 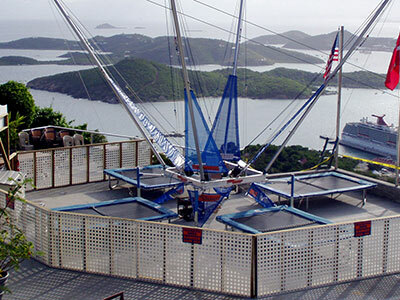 The Eurobungy accommodates up to four bungy jumpers at once. Imagine the 4 in 1 system inside of a geodesic structure! This is great for outdoor events. 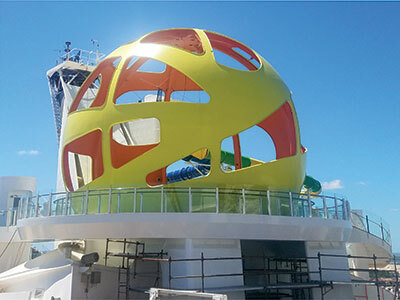 Are you looking for an outdoor attraction that will stand out against the competition? Look no further! 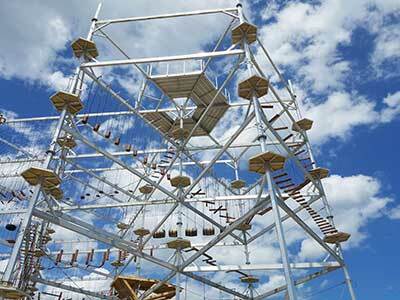 The Wildhex is an outdoor adventure course that includes several challenging elements. The compact design allows you to put it literally anywhere. Extraordinary customer capacity with virtually no operator requirements! Up to 120 customers per hour supervised by only one operator, no harnesses, no auto-belays, no preparation procedures required! This exciting climbing challenge is guaranteed to line up the crowds at any event, providing an exhilarating experience for climbers and spectators alike. 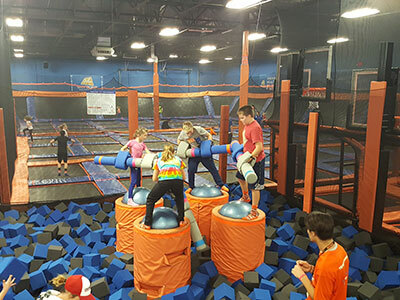 If you consider Trampolines of any kind, our trampoline parks are the go-to! 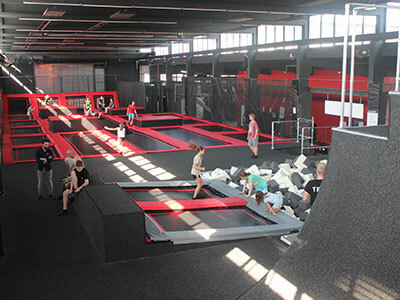 Trampoline Parks have popped up like mushrooms all over the country. Parkour for everyone. Your customers can increase their skills on safe grounds, step-by-step until they can jump the highest boxes. We can generate different layouts for your specific use. 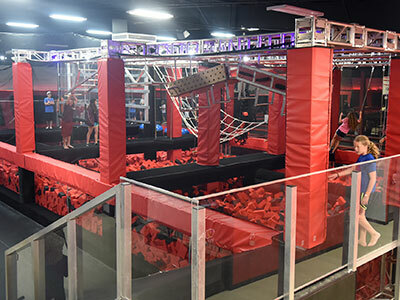 American Ninja Warrior has become one of the most popular TV shows in the US that has sparked a quickly growing interest in the popular sport.We build our Ninja Warrior Courses with a unique looking aluminum truss system, but what makes ours special is the combination of our expertise in building games for over 20 years. Just like the different elements of our Wildhex structure, we have a library of 120+ different challenges to customize your Ninja Warrior Course. 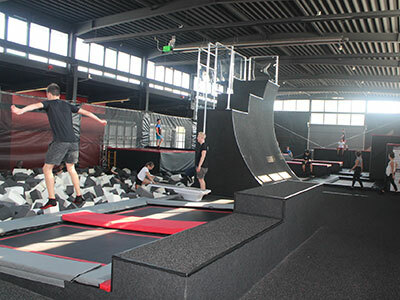 Our Warped Wall is a great addition to a Ninja Warrior Course, as it is one of the staple challenges used in American Ninja Warrior. We offer three different heights to give every one of your customers the possibility to increase their skills. 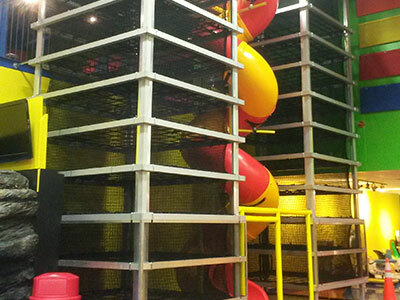 Our Jousting structure is a great addition for a Trampoline Park. 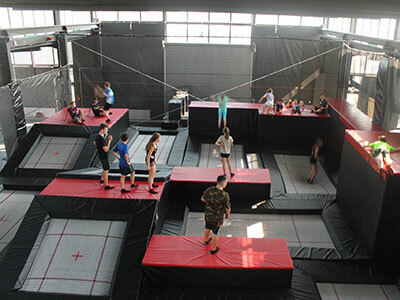 This trampoline bungee is very similar to the 4-in-1 bungy, however, unlike the 4-in-1, this structure makes a “V” shape with trampolines, and is meant for one person at a time. Simple, affordable and mobile. We build it with platforms as low as 4 feet (very mobile) or up to 12 feet (not very mobile). Do you have questions? Contact our team today for a consultation and a quote at (281) 948-6298.